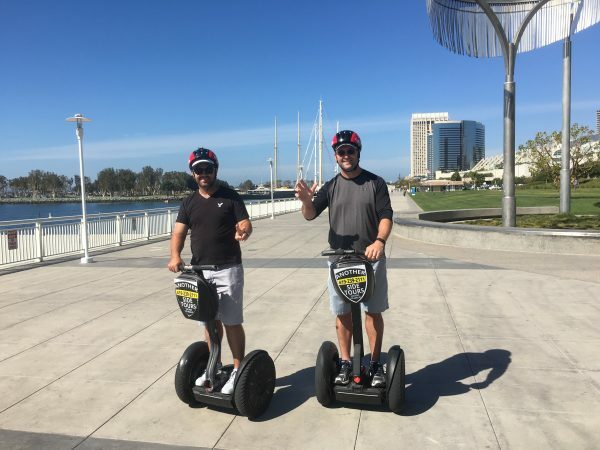 ON A ROLL: GMA (Qld) managers Scott Wagstaff (Carbrook Golf Club) and Aaron Muirhead (Nudgee Golf Club) take time out during the Club Managers’ Association of America’s 89th World Conference on Club Management and Club Business Expo. ELEVEN Golf Management Australia (GMA) general managers attended the Club Managers’ Association of America’s 89th World Conference on Club Management and Club Business Expo in San Diego, California and returned home inspired and loaded with new ideas. The were: Aaron Muirhead (Nudgee Golf Club), Scott Wagstaff (Carbrook Golf Club), Barnaby Sumner (Oatlands Golf Club), Michael Smith (Hartfield Country Club), Paul Campaner (Capel Golf Club), Russell Donovan (Box Hill Golf Club), Barbara Kelly (Chirnside Park Country Club), Deborah Hupje (Royal Perth GC), Melissa Ellis (Castle Hill Country Club), Rachel Kane (Anglesea Golf Club) and Paul Vardy (Golf Australia). The conference offered club management professionals the opportunity to take part in more than 70 education sessions, peer networking events and also featured a preview of the latest products and services available in the industry at the Club Business Expo. “There were many key takeaways from the event, both tangible personal and professional benefits,” said GMA (Qld) president and Nudgee GC manager Aaron Muirhead. “This was coupled with industry networking opportunities where we were able to rub shoulders with club managers from some of the renowned and respected golf clubs in the world including Augusta National, Congressional Country Club, Shinnecock Hills Golf Club and others. “The educational topics covered all areas of club management and were structured where attendees had the ability to choose the topic that best suited their needs and ranged from corporate governance, junior program development to personal development including assessing your own mindset. “There were also key speakers engaged to speak to the 2500 strong conference group of which all were exceptional. “However, Jason Dorsey was a standout. He presented to the group that much of what we believe about generations is wrong. “The research Jason’s team has been working on highlights the ways technology and culture are converging and how the generational dynamics will be more influenced by technology than by time. Muirhead said Dorsey was also “extremely funny”. “A key outcome from this session is that generations are not a box, but powerful clues that drive measurable results – more sales, better leaders and faster innovation,” he said. Muirhead said Amy Purdy, who lost her legs to bacterial meningitis when she was 19, too was an exceptional keynote speaker. Originally given less than a two per cent chance of survival, she beat the odds, battled depression and rose to accept her new reality but not any limitations. Today, she is the top-ranked adaptive snowboarder in the US. Purdy is a three-time World Cup Para-Snowboard winner, the 2014 Paralympics bronze medallist and the author of New York Times bestseller On My Own Two Feet. “Amy delivered a truly powerful and inspirational message on how to use our challenges to push past our limits and live a life without barriers,” Muirhead said. Another key session was the International Breakfast and Symposium where attending country leaders were able to address the crowd and outline the state of the golf industry in their respective regions. “Many factors that face the industry in Australia are shared in other areas of the world and it appears that these countries are coming together with a clear view of improving our industry worldwide,” Muirhead added. 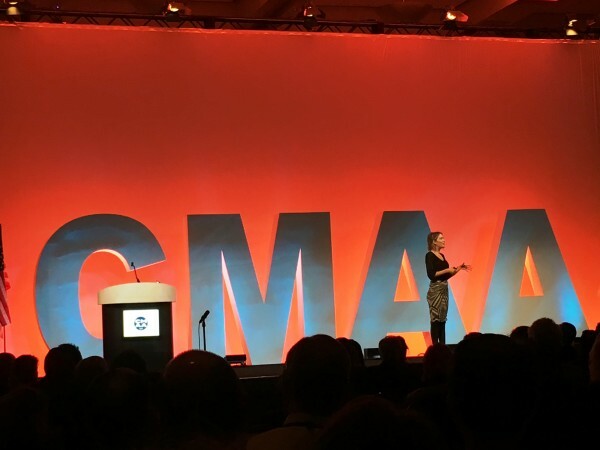 “It was clear that the Australian contingent all came away from the event with many ideas and even more memories as the CMAA deliver an exceptional event from start to finish. Chief writer David Newbery has been living, breathing and writing and editing golf for more than 30 years. His extensive knowledge of the game comes from covering golf around the world. Hired by Inside Golf in 2009, David previously worked as the editor of The Golfer for 25 years and before that worked for numerous daily newspapers in Australia and overseas. The Brisbane-based journalist describes his golf game as “a work in progress”, but has had the privilege of playing golf with some of the game’s best players including nine-time major winner Gary Player. David enjoys travelling, reading, music, photography and spending time with family and friends – on and off the golf course.